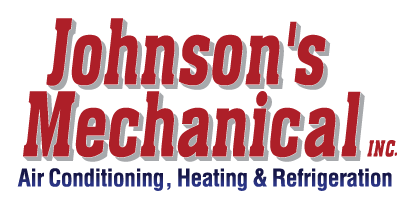 Refrigeration, Lakeland, FL | Johnson's Mechanical Inc. Refrigeration, Lakeland, FL | Johnson's Mechanical Inc. Although we are known for our excellent residential refrigeration services throughout Lakeland, FL, we’re also happy to provide services for commercial systems. The concept of refrigeration has changed the world as we know it. Today, you can reach into your home’s fridge and pull out a perfectly chilled soda on a hot summer’s day or get your wine to the perfect temperature in your wine cooler before an evening spent with friends without even lifting a finger. If one of your home’s refrigeration system ever stops working, you can count on us at Johnson’s Mechanical Inc. to be there for you. We have worked on chilled water systems, wine coolers, and reach-in coolers since we got our start back in 1982, and we will go above and beyond your expectations. Although we are known for our excellent residential refrigeration services throughout Lakeland, Florida, we’re also happy to provide services for commercial systems. If your business uses a chilled water system, ice machine, or a walk-in freezer, we can help you keep it in good shape, so you avoid preventable repairs and hassle. All of our technicians are highly familiar with the concepts of refrigeration and provide friendly, customer-oriented service every time. The best part is that we’ll show up to your home or business when we say we will and get your refrigeration system back up and working in no time. Family owned and operated, we’re always ready and waiting to provide you with honest service you can trust. Contact us at Johnson’s Mechanical Inc. today to find out more about our services or to schedule a time for us to come and look at your refrigeration system.